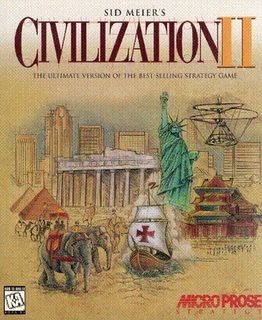 Just a quickie (oooo er) about Civilization II. After much twittering about this game the other day I decided to dust off my old PC copy and play it again. I found the disc in amongst a few other classics neatly stored away in a disc holder. Afraid it wouldn’t work (the disc looks pretty beaten up) I proceeded to install, it worked fine. First thing I noticed was that it was quite refreshing to install such a playable game that quickly, less than a minute from install to loading up (and not a sign of a game update required). I dove straight in to the action. 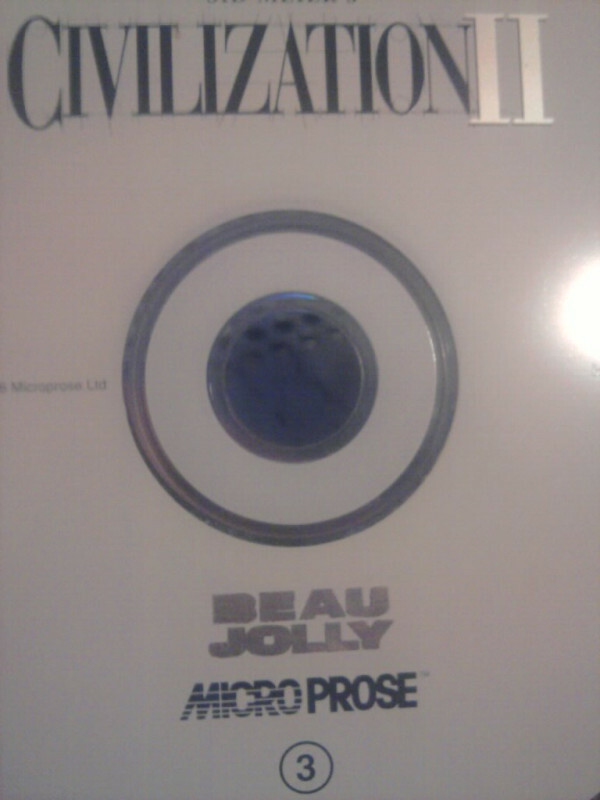 Civ 2 disc, this came in a huge double box set with the original Command and Conquer for the PC. I made a custom world, medium map, played at prince level and stupidly selected the raging hordes for barbarians, I played against 4 other civilizations. I selected to be the Romans myself, so I could employ the unfunny name of ‘Naughtius Jamesius’, some things never change. The game started well until I realised I’d completely forgotten how to play, tactics and strategies were absent from the beginning and soon the 4 other civilizations were ploughing ahead with warfare, advancing technology and building wonders of the world. My only saving grace was the fact my people seemed to like me, therefore I could address my fellow leaders from a throne instead of a rock. Bloody Romans, what have they ever done for us? 30 minutes into the game and the other civilizations knew I was weak (I didn’t need the pop up report to tell me that – puny Romans), it was time to make alliances and play dirty, let’s just say the Persians and Greeks had no idea what was coming and would pay for their earlier mockery. Triumphs however were short-lived, 2 hours later I was destroyed by the Vikings, Mongols and eh, barbarians. The score I reached really isn’t worth mentioning here. Still, the time playing this flew by and it is still an amazing amount of fun, I’ll be playing again over the weekend (now I’ve had a warm up game), so hopefully it’ll go a bit better next time. Definitely one of my all time favourite turn based strategy games, I still prefer this version than some of the later Civilization games, just as addictive as it was back then too.